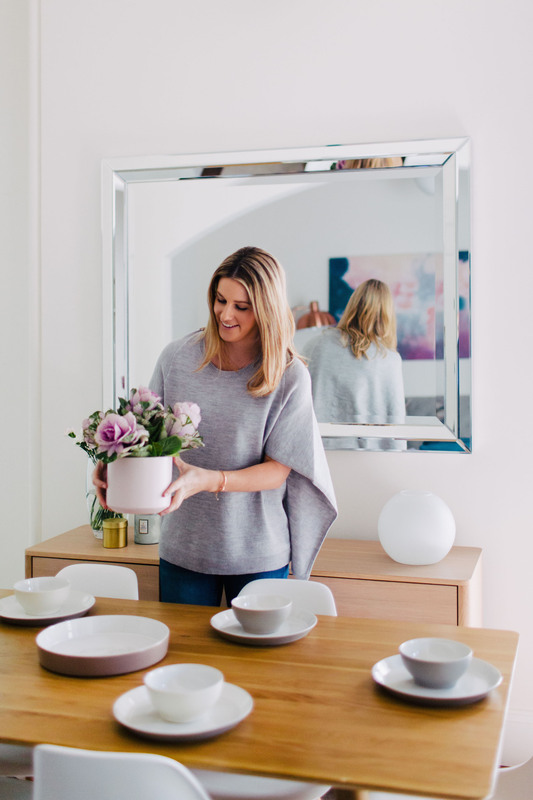 Emma Blomfield is on a mission: To help us make our homes look pretty! 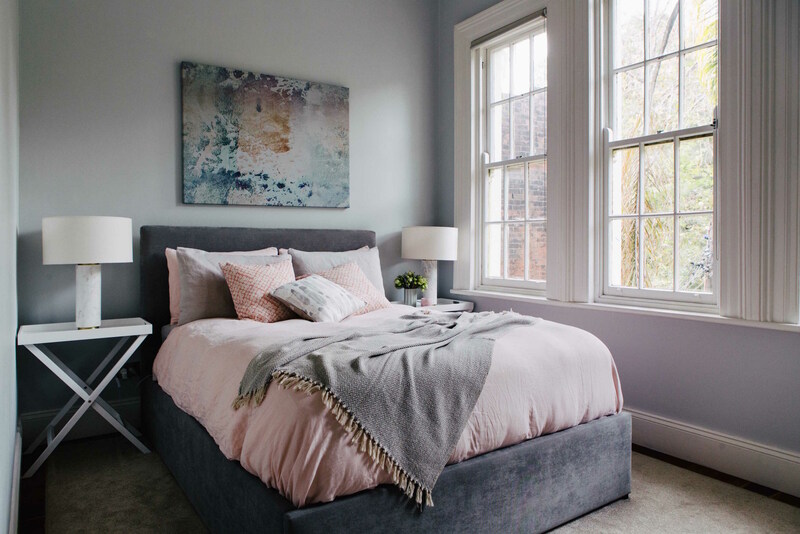 With an E-Decorating Service and a Decorating School under her belt, Emma is now showering us with more home styling glory with her latest project – a book! It’s simply called HOME and it’s a must have. 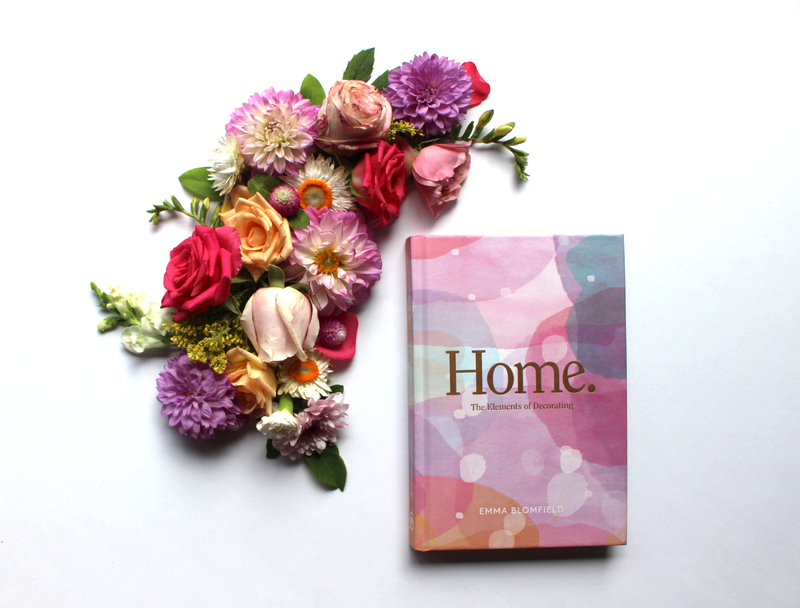 Not only does it look pretty impressive on the book shelf (she’ll show you how to place it just so), but it’s also full of pretty illustrations and practical advice and so we too can have beautiful homes. Being the lucky little duck that I am, I have had Emma physically in my home overhauling a few things here and there (ok….she did a lot of overhauling! ), so I can tell you first hand, she is magic. She transforms the normal into the super normal and has a knack of making you wish you had thought of putting that pile of books or picture frame right there! Now, here is where you guys become the lucky little ducks….I’m sharing Emma with you today in this post! 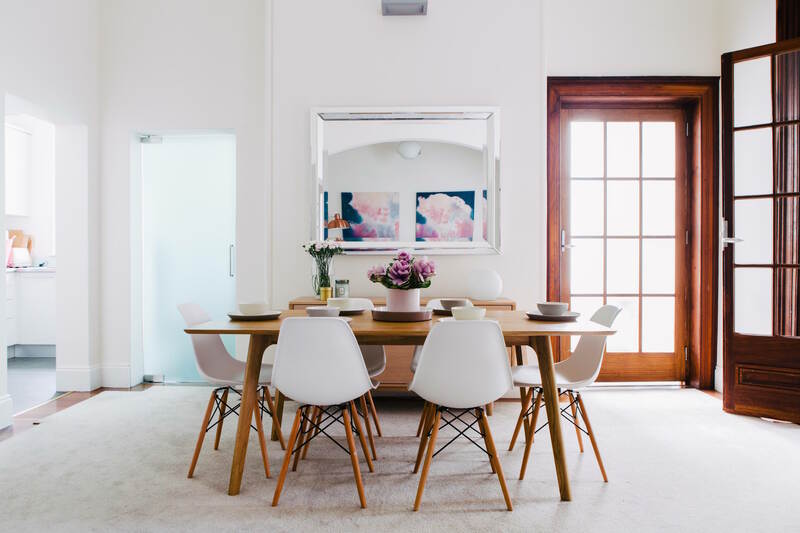 I know how intimidating it can be to try and make your home your castle, so I’ve asked Emma to break it down for us and help make our homes look exactly like the ones we see on her Instagram feed (he he!). I hope this inspires you to take your space and make it lovely. Take it away Emma! What skills can we learn from your new book? – My book is all about the 5 elements of decorating that I use daily in my decorating projects. It then goes room by room showing you how to apply those 5 elements to every room in your home. You’ll also learn fun styling tricks along the way like how to style a bar cart, how to set the table when entertaining, how many cushions you should have on your sofa and how to dress your bed. Sometimes its hard to know where to start when beginning the decorating process in your own home. Which room should we start with? – Start with the rooms you use most. This is usually the living space followed by the bedrooms. Often we neglect our bedrooms because it’s not seen or used by anyone else but I’m a firm believer in making our surroundings as beautiful and comfortable as possible, who cares if no one sees your beautifully made bed, it’s much nicer hoping into a well made bed each night than trying to find where you threw your doona off during the night before you get into bed each evening! What are some small, inexpensive things we can do to make our home look a little more glamorous? – I strongly recommend all of my clients shop from their own homes before they go out to the local homewares store. Often we can recycle something from another room and it gets a whole new lease of life plus you haven’t made a dent in the credit card! I also love adding flowers to the coffee table or bedside table, even just a cheap bunch from the supermarket in a pretty vase. I also can’t live without candles to jazz up any console table or entry table plus they add a nice ambient glow to your room. When styling a house where children live, what are some things to do or not to do?! – Be realistic! Make practical choices about flooring, big ticket items that will get daily use (think sofas, dining chairs, armchairs) and bedding. Opting for materials that have a bit of acrylic or man-made fabrics woven into them means they are going to be more durable for family use. Eg. Acrylic/Polypropylene rugs are super durable and can almost be hosed off to clean! Same goes for choosing sofa fabrics, a small percentage of polyester fabrics in your fabric choice will see a longer life span for your sofa. In your book, you talk about focal points, can you tell us what that is? – Focal points are the natural place your eye rests as you walk into a room. This can be anything from a beautiful piece of wall art, a bold feature wall, wallpaper, a big bold lamp or a hot pink sofa. 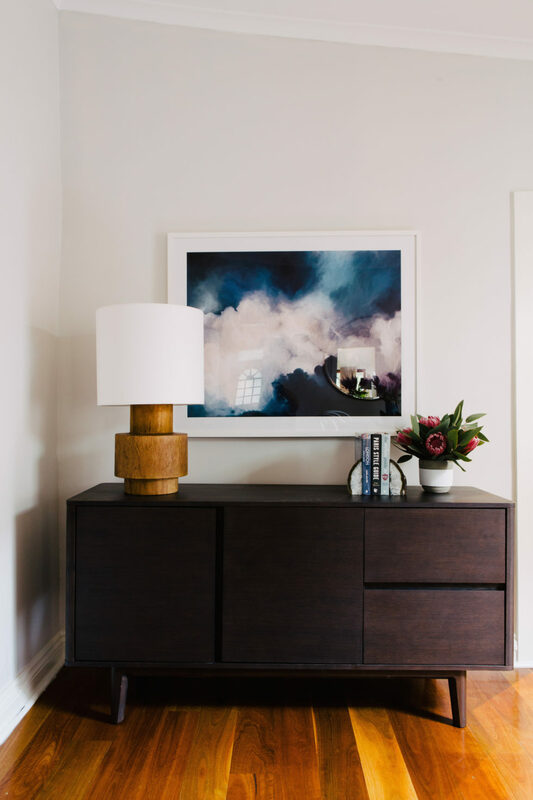 Just be careful not to over do the focal points in a room, most rooms won’t be able to handle more than one big bold piece to catch your eye. Is there such a thing as too many cushions? – Not in my book! I have 9 cushions on my bed and that doesn’t seem excessive to me (maybe I’m just a cushion nerd!). Men would definitely argue that one with me as they all seem to be allergic to cushions. 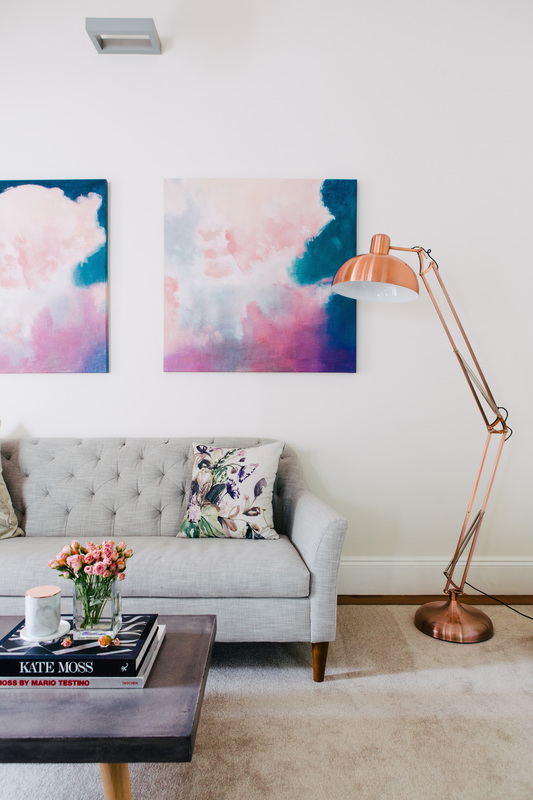 How can we simply incorporate colour into our home styling? – If you’re not confident with colour, start small. 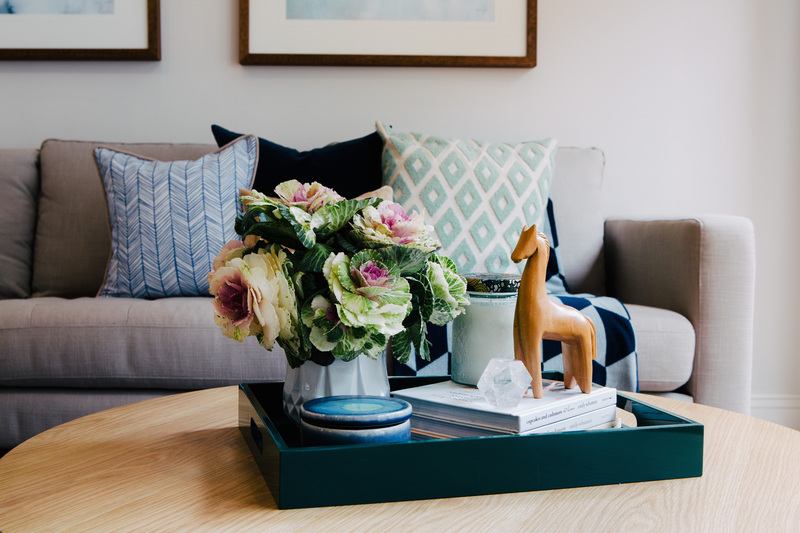 Opt for neutral big ticket items to allow you more flexibility in the years to come and add colour with soft furnishings like cushions, rugs, curtains and throw rugs. You can still make a statement with these pieces without being overpowering. How do we create a great work space? – Get organised! The biggest issue we face with our workspaces is keeping them neat and tidy so investing in some great storage options means we will always have somewhere to put the overflow that finds it’s way into our home offices. Make sure you have something inspiring above your desk too, if you’re spending most of your day there you want to be surrounded by uplifting things – this could be a whiteboard with inspirational images stuck to it or a beautiful piece of art. What are some spaces around the home that we often neglect to decorate? – The rooms that are most practical are often the ones we neglect to decorate properly. For example, the entry way – it can easily become a dumping ground that we pass through on our way in and out of the home. The laundry and bathroom are also often neglected. If we stopped for a minute and thought about smart storage we’d all be well on our way to winning laundry or bathroom of the year! What is the one styling tip you swear by? 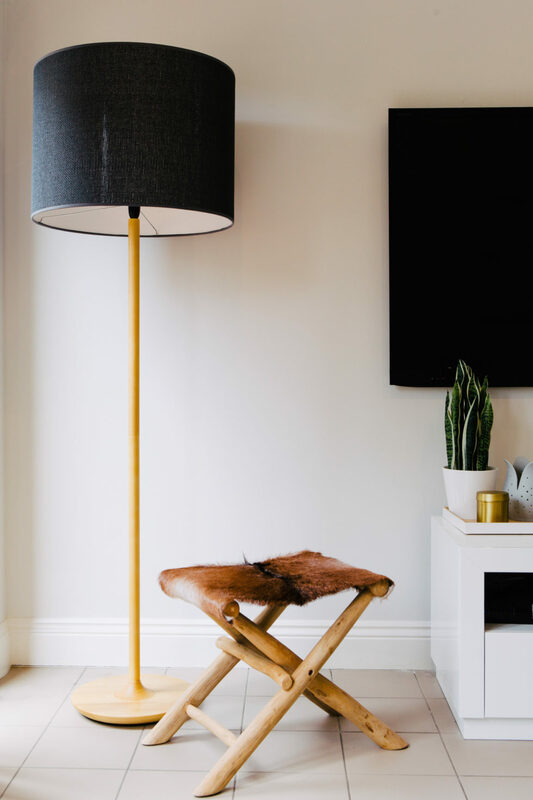 – Buying a rug large enough for the front feet of your sofa to sit on. A rug that is too small for the room will look as though you’ve arranged your furniture around a postage stamp. A well proportioned rug blends seamlessly into the room and actually assists in making the room appear larger. You’ll never regret spending money on a large rug but you will regret a small rug! To learn all about Emma’s magic visit her website.